The governing body of a Birmingham school investigated during the Trojan Horse scandal is set to be removed after it was plunged into special measures when Ofsted found a series of failings in a new inspection. 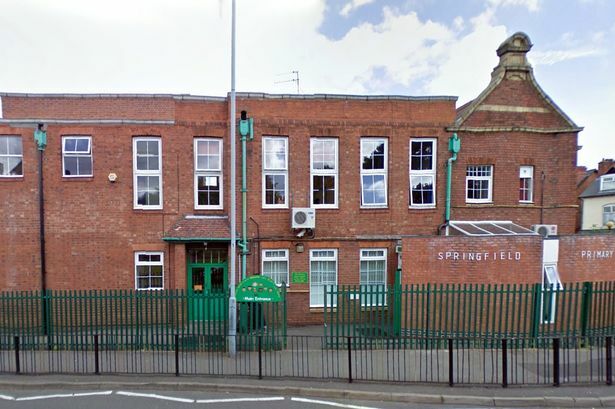 Leadership, governance and teaching standards were all criticised by the education watchdog in its latest inspection of Springfield Primary School, in Moseley, which has been rated &apos;inadequate&apos;. Ofsted criticised the "ineffective" use of cash meant to be spent on children from disadvantaged backgrounds - with the school blowing £45,000 of pupil premium funding on extra pay for year group leaders found to "not have the skills" to improve pupils&apos; achievement or teaching. The governing body was also labelled as "ineffective", with governors criticised for sanctioning staff pay rises despite pupils making poor academic progress. Teachers were accused of not allowing girls to speak out in class discussions, failing to mark pupils&apos; work and misspelling some words. Birmingham City Council was also berated by Ofsted for failing to provide enough support to the school which was rated as &apos;good&apos; when it was last inspected in 2011. Following the latest inspection, a city council spokeswoman said: "We have put in place school-to-school support and are working closely with the school as it develops and implements its action plan for sustainable improvement. "We are applying to the Department for Education for an interim executive board and share the commitment of staff and parents to the success of the young people at Springfield." The school was one of 21 to be investigated as part of the alleged Trojan Horse plot by hard-line Muslims to take control of school governing bodies last year. Ofsted said it carried out the latest inspection in May due to "concerns regarding pupils&apos; achievement and quality of leadership at the school". Its report rated pupil behaviour &apos;inadequate&apos;, adding: "Inspectors observed some pupils running out of the hall, bumping into others and climbing on PE equipment at the end of assemblies. "Although there were adults in the assembly hall, at no point were pupils asked to behave correctly. "Some older boys are boisterous and take over the playground. Inspectors observed a boy deliberately hitting a group of children with a ball. "Girls told inspectors that a few boys sometimes use racist names, swear and occasionally bully others." "Some teachers allow boys to dominate discussions during lessons," the report added. "They do not always give girls sufficient opportunities or time to respond to questions or share their views. This inhibits girls&apos; progress." It said pupils from all years were under-performing, with girls in particular suffering and attaining less well than boys in phonics and writing in particular. The school was unavailable for additional comment.